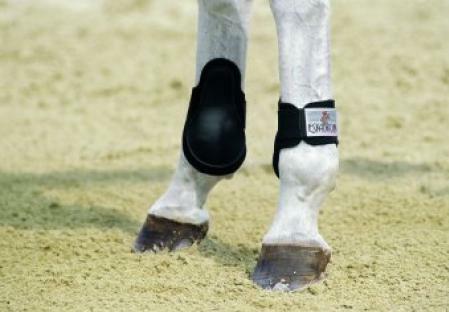 Eskadron hind leg boot made of an anatomically formed hard shell, neoprene lining and velcro fastening. Available in a range of colours in full size - white, navy, brown, black, green and grey, pale blue, bordeaux, cognac. Matching coloured front tendon boots available. 5 stars The product came very fast! I am in the US and it was just as fast as any company I have ordered from here! These boots are still my favorite as far as durability and protection! 5 stars I had tried someone elses pair of these and they were great. Fast efficient service, many thanks would use you again. Price was reasonable too.